Last year, this woman "kept the world in awe" because of her little action, yes her act seems little but now, she is the most inspiring person of that year (2016). 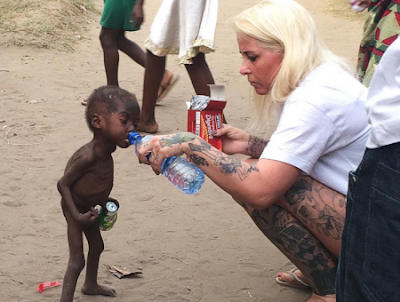 A 2-year old boy who cast out by his own community in Nigeria for being a witch-child. The boy, now named Hope, was found emaciated and riddled with worms after being forced to live off scraps thrown to him by passersby for eight months. 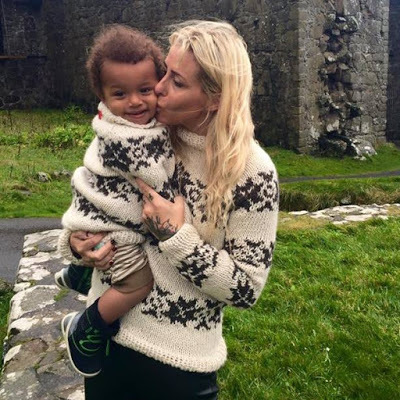 He was rescued after being discovered naked and wandering the streets on January 31 by the lady, Anja Ringgren Loven, a Danish care worker living in Africa. 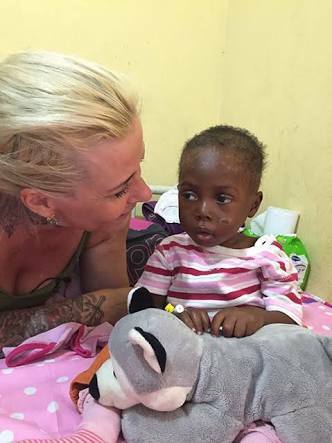 According to a compilation by German magazine Ooom, the Danish care worker Loven who adopted the young Nigerian boy back in February, beat the likes of Pope Francis, Barack Obama and the Dalai Lama to top the list of 100 inspiring individuals. Speaking about the experience, she said: “He was the size of a little baby, my whole body froze. US President Barack Obama was named second on the list. The jury said he stood for “peace, tolerance and freedom” and that, despite failures during his leadership including on Guantánamo, Syria and Iraq, “we will miss him anyway”. The actress and philanthropist Charlize Theron was named third in the list, thanks mainly to her “massive involvement” in combatting HIV/Aids in her native South Africa. Pope Francis was named fourth, after the jury said his “humble” leadership had changed the Catholic Church for the better. And the actor Leonardo DiCaprio was given the fifth slot, as a result of his work to combat climate change culminating in the film “Beyond the flood"
God bless Mrs Loven and her husband, David for putting a smile on the face of little Hope.